Celebrate and explore Lexington's unique architectural legacy - and its impact on the world! The exhibit highlights the architects who worked here, the neighborhoods they created, and the ways their work affected Lexington and the larger world. It showcases modernist architecture, furniture, and housewares from the Society’s collections, as well as artifacts donated by numerous other individuals and organizations. Several mid-century modern house tours, a mid-century modern marketplace, Sunday afternoon gallery talks and other events will occur throughout the summer and fall. August 9 – Andrea Quagliata, former Moon Hill resident, creative director, photographer and author of Modern Orthodoxy and Eclecticism, The Case Study of Six Moon Hill. August 30 - Katie Rowley, Manager, and Somers Killian, Associate of Machine Age, Highlights of Mid-20th-Century Furniture Design. The 2015 Academy begins Tuesday evening, September 15 and features eleven evening sessions. Who builds trails on Conservation lands? What is inside the Police Station? Where you can buy a rain barrel? When you need a building permit? Why a Fire engine responds along with the ambulance? How many different types of Public Works vehicles there are? How the public schools are using technology in teaching? Participants have the opportunity to engage with Town departments, learn more about the services provided by their local government, and discover new opportunities for public involvement. There is no fee to attend the Academy, but early registration is recommended as it will be limited to 30 participants! For more information, please contact Deputy Town Manager Linda Vine by email, or by calling 781-698-4540. The first Citizens' Academy, held in the fall of 2009, was a joint initiative of the Lexington 2020 Vision Committee and Lexington Community Education. Change furnace filters. Have you looked at them lately? They’re filthy! They’re cutting down on your heating and cooling efficiency and making your furnace fan work overtime trying to push air through stuffed-up filters. Keep allergy-causing dust to a minimum and give your furnace a break with regular HVAC maintenance that includes changing your high-quality filters every 3-4 months. Now that the kids are finally out of school, the 4th of July Holiday is behind; get your kids outside and spark their creativity with fun, simple home improvement projects. Plus, you’ll boost your curb appeal. 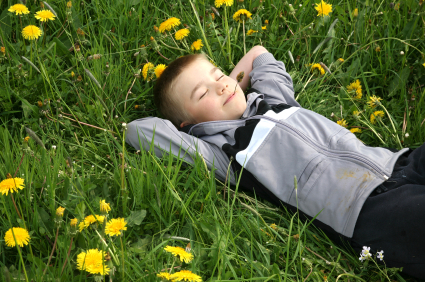 If you’re looking for ways to unplug your children and get them some fresh air, try these engaging outdoor projects. You’ll introduce them to a little pride of home ownership while adding some finishing touches that’ll ramp up your home’s curb appeal. Cost: A 40-lb. bag of ready-mix mortar is $6. Visit: https://youtu.be/BQUVWHE4MKw for steps to paint your mailbox. Cost: $10-$30 per shrub; a bag of potting soil is $9. Here’s a great optical illusion that kids will really dig. Stick a ½-inch diameter wooden dowel or piece of copper pipe firmly into the ground or a big pot. Put clay pots of various sizes onto the pipe, threading the pipe through the drain holes. Fill the pots with soil and tilt them at crazy angles — the rod holds all the pots upright. Plant easy-care impatiens or petunias. Visit https://youtu.be/kQmm6bp9FCo for video instructions. Cost: Copper pipe is about $3 per foot; an 8-inch-high clay pot is $4. Increase Your Lexington Home’s Value with These Upgrades! 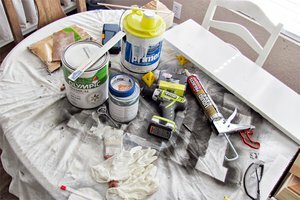 Fresh paint can increase your Lexington's home value. When it comes to home décor, some Lexington homeowners might think this has nothing to do with home value, but that isn’t true! Your home decorating choices could increase your home value, so as long as you’re spending your money on home upgrades, you might as well choose the ones that will bump up your home value! When it comes time to sell your Lexington home, you’ll be glad you did. As your Lexington real estate agent, I’ve put together a list of home decorating updates you can make that will help increase the value of your Lexington home. 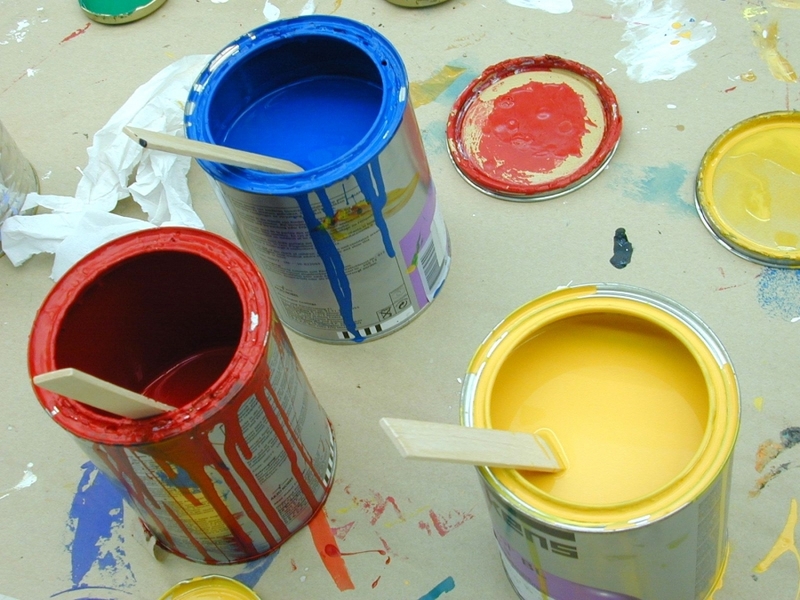 Choose the ones that will look best in your home, and have fun making them a summer project! Painting. Fresh paint can increase the value of a home, whether it’s on the interior or exterior, and it’s one of the easiest, most affordable upgrades you can make to your Lexington home! Stick with neutral color tones, especially if you plan on selling your Lexington home soon. Lighting. Since bright rooms look bigger and more inviting, the brighter, the better. Replace burnt out bulbs, especially when staging to sell, and upgrade the light fixtures to add even more value. Since these typically stay with a house when selling, your Lexington homebuyer will see the value in modern fixtures. Countertops. Granite countertops are still the top choice among Lexington homebuyers, in every price range. Because they’re so in demand, many buyers are willing to pay extra for them. Therefore, you should see a return on investment when switching to granite. Appliances. Stainless steel appliances are right up there in demand with granite countertops, so again, you will see a return on investment when upgrading outdated appliances with stainless steel options. This includes the refrigerator, stove and dishwasher, but if only doing one, opt for the fridge. Windows. Window treatments are an upgrade worth investing in, because they add visual appeal and functionality. Plantation shutters are especially popular, since they are custom made for your home. Buyers will see them as an added asset worth paying more for. For more home décor upgrades worth investing in, check out this RISMedia blog post. All of the options listed can increase your home value, which you’ll be grateful for when it comes time to sell your Lexington home. Are you ready to be a Lexington home seller now? Have questions? Contact me, your Lexington real estate agent! I am always here to answer your questions and to help you achieve your goals in the Lexington real estate market.